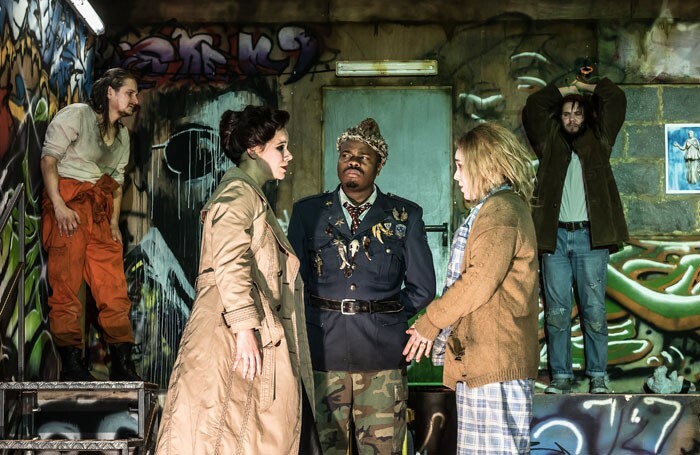 For the first time, the Royal Opera takes up residence at Wilton’s for this show by young professionals from the Jette Parker Young Artists programme. A rarely performed piece, Handel’s 1734 Oreste consists of arias from other works assembled in a new dramatic context: Handel’s contemporaries would have called the result a ‘pasticcio’ – Italian for a pie or a mess. The ultimate source is Euripides’ Iphigenia in Tauris, and given the nature of the original myth, with its ongoing acts of slaughter, blood sacrifice and revenge, one can hardly fault Gerard Jones’ staging for representing the violence inherent in the plot and its background. Jones co-designs the show with artist Matt Carter. Their straightforward set is covered with urban art, including a portrait of local king Toante, a genial psychopath dressed in idiosyncratic uniform, who has all foreign visitors to his kingdom sacrificed. Through a window in the back of the set, we see Diana’s priestess – an unwilling Ifigenia – bludgeon an unknown victim to death during the overture. Throughout there’s an emphasis on mistreatment, torture and violence. Where Jones goes too far is in the constant tics and twitches with which his often crazed characters are over-liberally endowed: in this instance, the result demonstrates the law of diminishing returns, but there’s no denying the effort put in by the cast to realise the director’s intentions. High vocal standards, from Angela Simkin’s psychologically damaged Oreste, Jennifer Davis’s reluctant executioner Ifigenia, Thomas Atkin’s vividly sung Pilade, Vlada Borovko’s spirited Ermione, Simon Shibambu’s grand-scale Toante and with Gyula Nagy an increasingly lairy Filotete – a contralto role transposed for baritone. 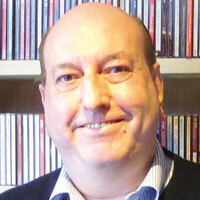 James Hendry is the expert conductor of 10 alert members of the Southbank Sinfonia.